The Powderhouse neighborhood borders Tufts University and Ball Square to the north, Davis Square to the west, Spring Hill to the south, and Central Hill to the east. 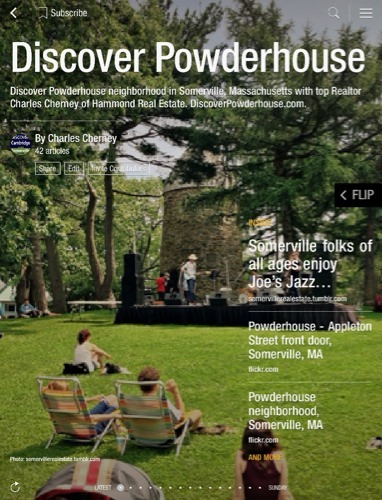 CLICK HERE TO OPEN ONLINE MAGAZINE ABOUT POWDERHOUSE. Seeing very few or NO LISTINGS FOUND in search results below? Please note that some listing agents post their listings in MLS only by city name (e.g., Somerville) and do not include neighborhood name. Click here to view all active listings in Somerville.